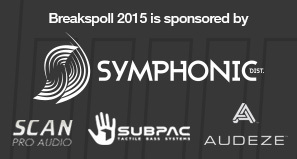 Incase you’ve missed it – voting is now live for Breakspoll 2015. 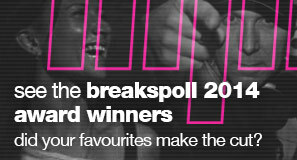 Celebrating the best of breakbeat in 2014, you can now vote for your favourites in our specialist categories. 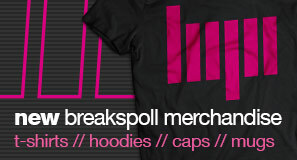 Every vote counts, so make sure you represent your favourite. 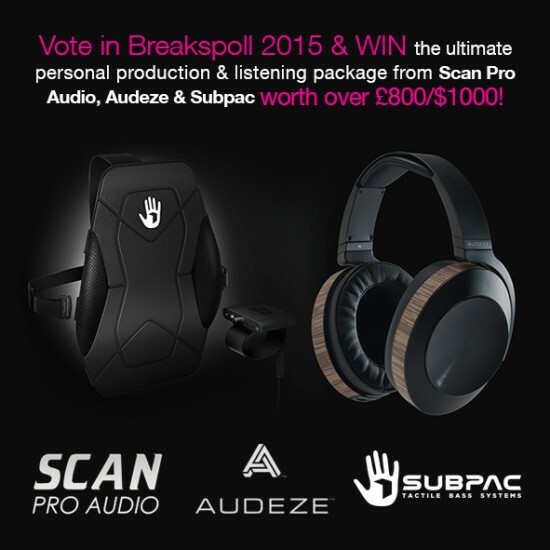 This year, every confirmed vote is automatically entered in to our prize draw to win over £1000 of production equipment from award sponsors Scan Pro Audio, including prizes from Audeze and Sub-pac. Voting ends on Friday 6th February 2015 at 4pm GMT. Nominations (5 nominations per category) will then be announced soon after, and the winners will be announced at, during and after the Awards event on Saturday 7th March 2015.